It’s only been four months since Ashe was added to Overwatch, but the Blizzard devs feel its time to add a brand new character to the roster. The company posted this tweet to their official Overwatch feed, showing a six-second video of what appears to be a Talon log screen being hacked by Sombra, as you can see the faint skull symbol at the end. Apparently, something involving a “meltdown” and “clean up” in the process. Following that Tweet, this in-game log called “SUBJECT CUERVA STRIKE TEAM” was also loaded online, as a report from within the Talon organization on what appears to be a covert mission that seems to have gone south but without too terrible of a result. 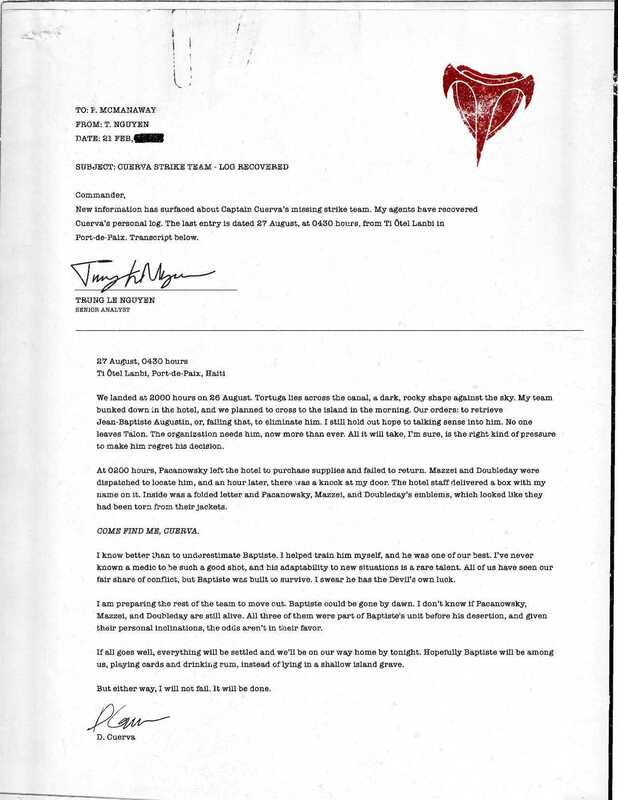 And while many online have deduced that this could be an early plant at an anniversary event for the game’s third year, the fact that so many names are being tossed about within the report seems to indicate we’ll be seeing a new addition to the game somewhere down the road. So we’ll just simply ask the question to you: What kind of character would you like to see come to Overwatch next?